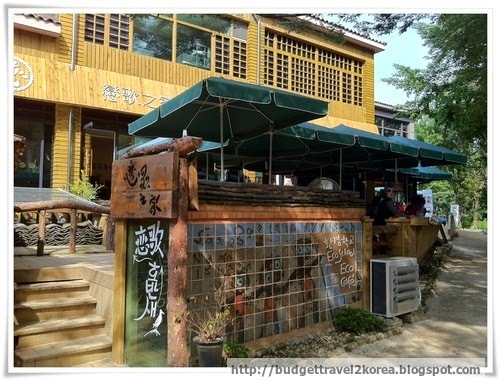 If you go to Nami Island, some might suggest Nasi goncang as your lunch menu. Butttttttttt....hold your horses, you might be disappointed. 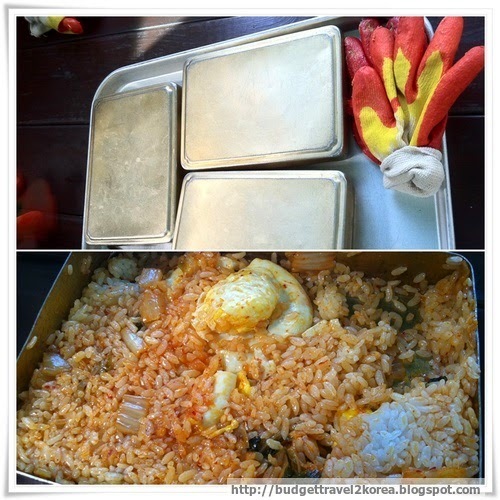 There is nothing wrong with Nasi goncang or Dosirak (도시락) in Korean. The only fear factor is....tada...the kimchi! If you have never tried kimchi yet...and Nasi goncang is your first meal in Korea or your first ever Korean meal in your entire life, you might want to try other Korean meal first before trying this. But if you are game for it..by all means eat..like myself: I have an international stomach..hahaha. Get your tongue accustomed to the kimchi taste. Sour and spicy fermented vegetables and in most occasion the chinese cabbage kimchi is the popular one served at many restaurants. Hmm...Nasi goncang. I have stuffed this food like zillions of times...haha so over! No lah...actually I felt like I have reviewed Nasi goncang before but after checking out my posts on Nami Island, I haven't! Why oh why...my memory was lost in the jungle somewhere unknown. Anyway, I've been frequenting Nami Island until I lost count these days. 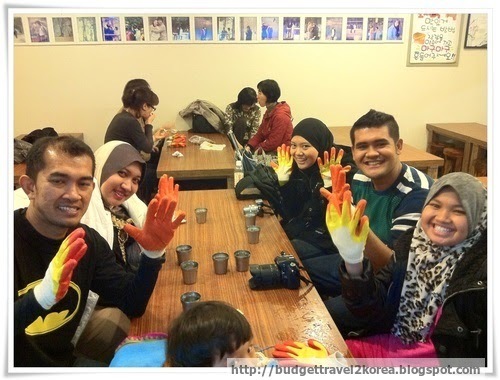 Even some of my Korean friends have never been to Nami Island! Am I considered more Korean than them? Nope...I am more touristy...kekeke. Nasi goncang used to be like in 5,000 won range at the Drama Cafe' for all the Nasi goncang menu back in 2010 but I could not remember when they started to increase the menu to 6,500 won instead. You can also order fish cake soup, seafood pancake or kimchi pancake and the price varies based on the picture above. My review will be slightly bias....hmmm...nope. I guess pretty much bias hehe. Because I LOVE KIMCHI! In whatever form. The kimchi in Nasi goncang used to be quite sour but recently it has been better. Among my many guests that I brought to Nami Island, there was a Kelantanese group and the mother could not stomach the Nasi goncang citing it was too sour for her taste. I felt so bad...so so bad because I thought that I wanted to show the Korean culture from its food but it went so wrong! Mian he yo! The restaurant serving Nasi goncang is called Drama Cafe and they have a Halal logo outside the restaurant. Inside the restaurant, there are many pictures of Winter Sonata's drama filming (which Nami Island is famous for among Malaysians) hung up the wall. How to go to Drama Cafe'? Once you arrived at Nami Island jetty, walk pass the middle section where they are many pretty pine trees lining the road until up to Nami Library. Then walk a bit more and turn to your left, you will see the UNICEF train boarding station and Drama Cafe' is just up front.